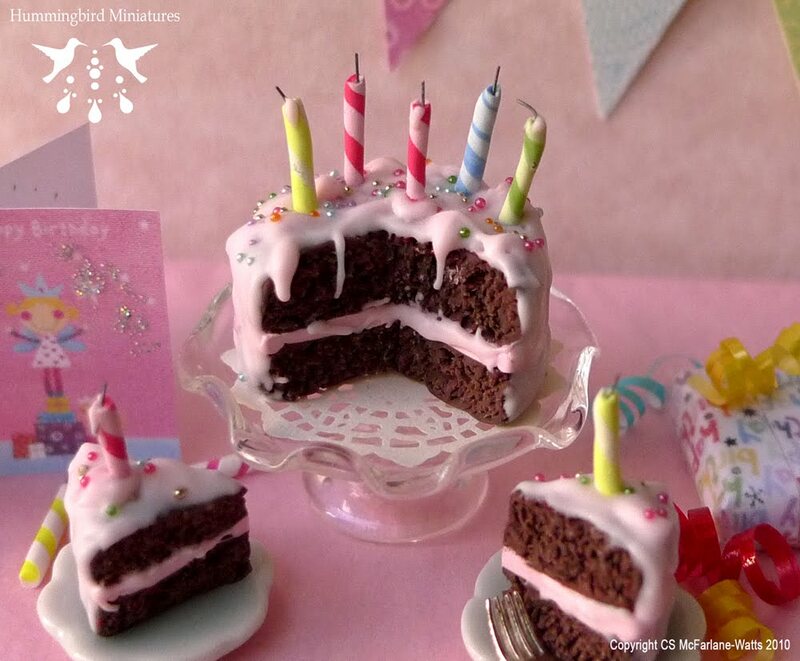 Hummingbird Miniatures: Pink birthday cake COMPETITION WINNER announced! I 'televised' the competition draw! You can find out the winner by watching the video here on my Caro Home Crafts channel. Thanks to everyone who entered my first Hummingbird Miniatures competition, and especial thanks to those that included my competition link on their blogs. You all wrote such nice things and I was really thrilled with the response. I've been in touch with the winner and looking forward to sending off her Pink Birthday Cake prize as soon as she gets back to me with her address.